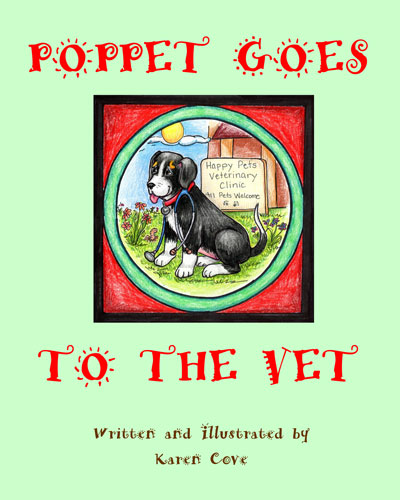 'Poppet Goes to School' is the third book in the 'Poppet the Dog' series. In this book, Poppet experiences many of the same feelings and emotions surrounding going to school that young children face today. Afraid and unsure, she follows Mrs. Wilson and begins attending classes at the 'Keep 'M Thinking Dog Academy'. Once there Poppet discovers that school is fun and exciting. 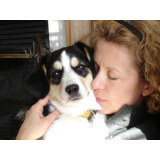 She meets new friends and enjoys learning puppy manners under the gentle guidance of her teacher, Nita. While attending school, Poppet makes two new friends that she becomes very close to. Unfortunately, due to circumstances no one could predict, Poppet has to say goodbye to her friends. 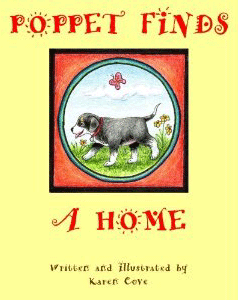 They move to different towns and begin new chapters in their lives, leaving Poppet behind. Poppet discovers that, even though it is sad when friends move away, there are new friends to be made and more new adventures to experience. A delightful surprise is in store for Poppet in this book, one that takes her back to the country town where she was born and rekindles old family ties. 'Poppet Goes to School' is a great book to read to youngsters who are heading off to school for the first time. It creates discussion opportunities for parents and children to talk about their feelings and concerns using a delightful and engaging story.